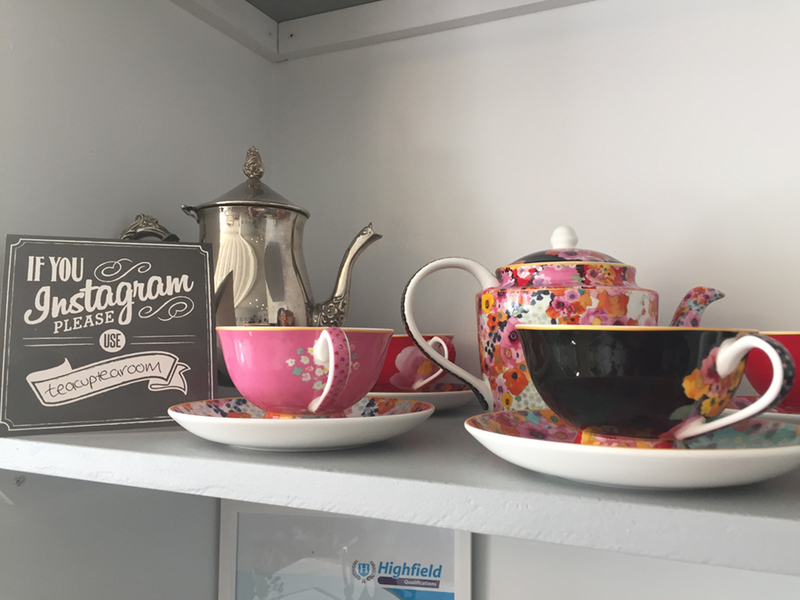 I discovered a Teacup Tearoom on a ramble through Mevagissey and what a find! 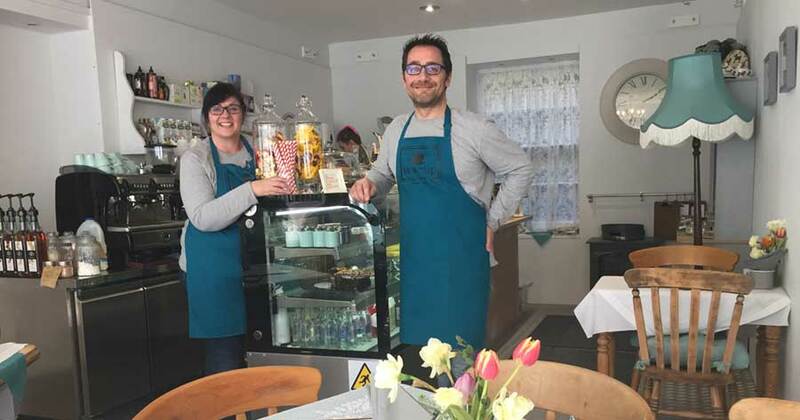 Owners Lis and David have settled in Mevagissey after working in the Far East and have put their hearts and souls into creating a lovely little cafe in the heart of this seaside town. You know how I love interiors and the striking colours and attention to detail in the decor was a joy to see. At the moment they are opening from 8am to offer delicious Continental breakfast with croissants and pastries, through until 5pm. The cakes are heavenly with a choice of vegan and gluten free to cater for all dietary needs. They offer a variety of teas, including our local Tregothnan brand and fabulous barista coffee, even offering to make my cappuccino the Italian way with chocolate in first! 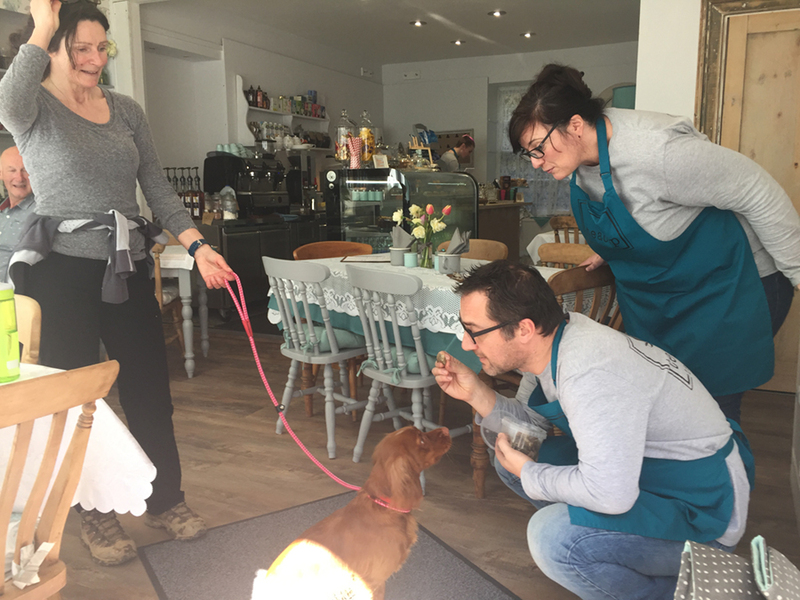 Dogs are made especially welcome with dog mats, drying towels, treats and biscuits plus their own puppacino if they don’t want to be left out. 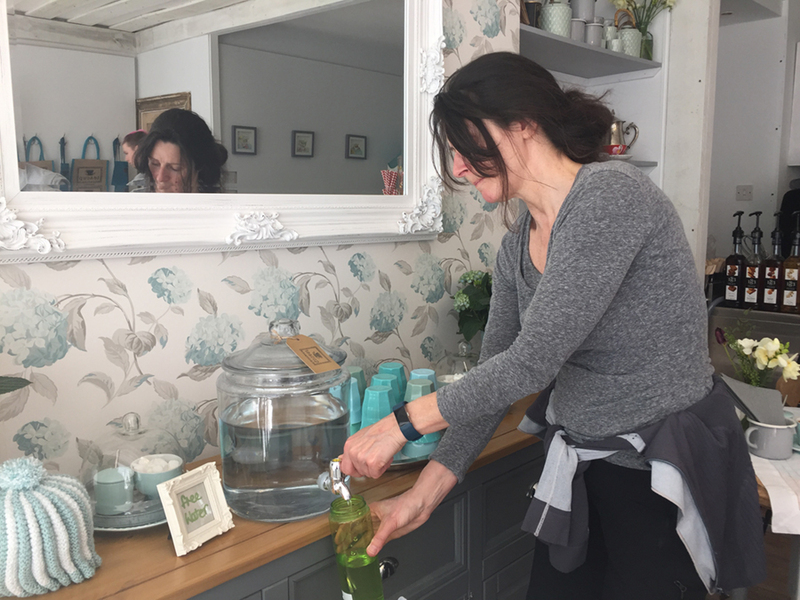 The tearoom is a Refill station and will gladly fill your water bottles for you, plus they are trying to be sustainable with their choices of packaging. They have signed up to Final Straw Cornwall and only use paper straws too. I wish them every success with their new venture and unhesitatingly recommend that you pay them a visit if you are down Meva way, they are so friendly and welcoming!